The government has manufactured a fiscal crisis in our health care system. In reality, the system is not growing out of control – growth rates are sustainable within current and projected revenues. Not only is current revenue adequate, it could easily be increased by instituting a progressive tax system and taking adequate oil and gas royalties. The regressive health care premiums are not needed. The government can afford to adequately fund public health care – it is just unwilling to. 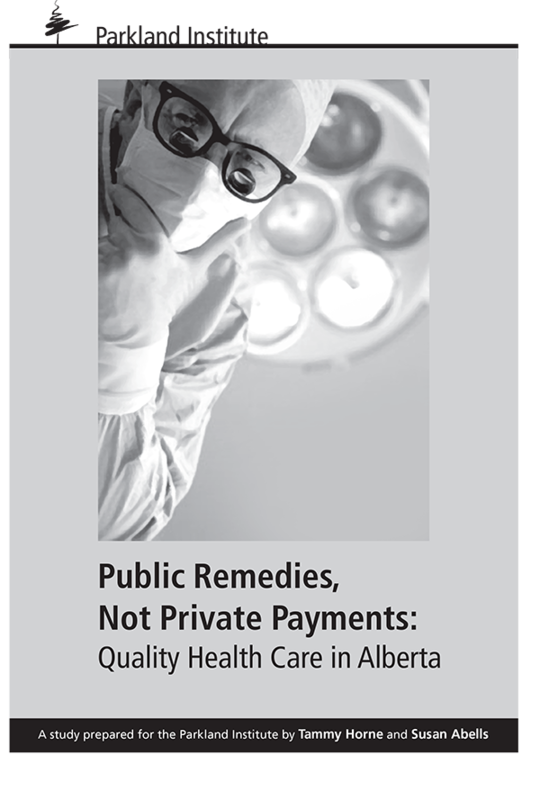 The government needs to put as much effort into trumpeting successful reforms in the public system as it does into telling Albertans the sky is falling and only more private money will rescue health care from imminent fiscal collapse. When the Premier talks to the media, his focus is seldom on the positive efforts of the people who work in Alberta Health and Wellness, regional health authorities and community organizations. Instead, he muses about taking on the Canada Health Act, charging user payments and letting wealthy Albertans buy surgery. The government’s excessive focus on an imaginary fiscal crisis, aided by sympathetic media, is overshadowing good work already being done. Meanwhile, playing up negative myths about health care sustainability is diverting Albertans’ attention from making our public health care system as good as it could be.